Unlock any Philips phone model with doctorSIM. Recommended by Philips and the network carriers. Fast and safe, this method keeps the phone's warranty. How to unlock my Philips phone with doctorSIM? Unlocking your Philips device with doctorSIM is as simple as 1-2-3. No technical knowledge is required. Request your unlock code online, receive step-by-step instructions by e-mail and then type the unlock code into your phone. That's all there is to it! What do I need to unlock my Philips device? You need your Philips device at hand and be able to access the keypad and drop-down menus. You will also need an e-mail address where we can send you simple instructions to unlock your phone. Does my Philips have unlimited unlocking attempts? Yes, Philips devices have unlimited unlocking attempts which means one less thing to worry about during the unlocking process. However, make sure you avoid buying unlock codes from cheap and untrustworthy online providers because they could easily damage your device. At doctorSIM, we 100% guarantee our service will not adversely affect your Philips in any way. With doctorSIM, you'll save time, money and effort, because you can request your unlock code from the comfort of your home without having to send your phone anywhere. We'll also keep you updated on the status of your request at all times. Our method of unlocking is the method recommended by the phone manufacturers and network operators themselves and therefore doesn't void the warranty. How much does it cost to unlock my Philips? Unlocking your Philips device with doctorSIM can turn out to be very cheap indeed, as you can see by selecting the country and the network provider the phone is locked to. As well as accumulating discounts with every unlocking you make, we also have discounts on our website of up to 50%. Can I unlock my Philips if it has been reported or on the blacklist? If your Philips has been reported stolen, lost or due to outstanding bills, you should contact the network provider to which the phone is locked to remove the blocking and continue using your phone normally. Once you've done that, doctorSIM will gladly unlock your Philips device. Yes, unlocking your phone with doctorSIM is permanent. 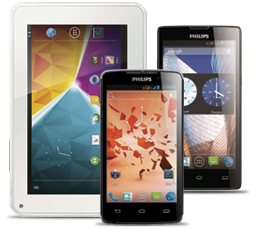 You will never have to request another unlocking code for your Philips. You can also restore your phone to factory settings and download all official software updates without fear of your Philips locking again. On the rare occasions your phone may prompt you to re-enter the unlock code, simply follow our instructions again as they will always be valid. Can I use my Philips on any network once unlocked? Once unlocked, you can use your phone on any compatible network from any country because the unlocking is permanent. Permanently unlock your Philips from any network carrier. Unlocking your device with doctorSIM is 100% legal. No need to update your software to unlock your Philips. Our method doesn't void the warranty of your Philips. First-class customer support standing by to assist you. Fully guaranteed or we'll return your money. Valid for all Philips models.